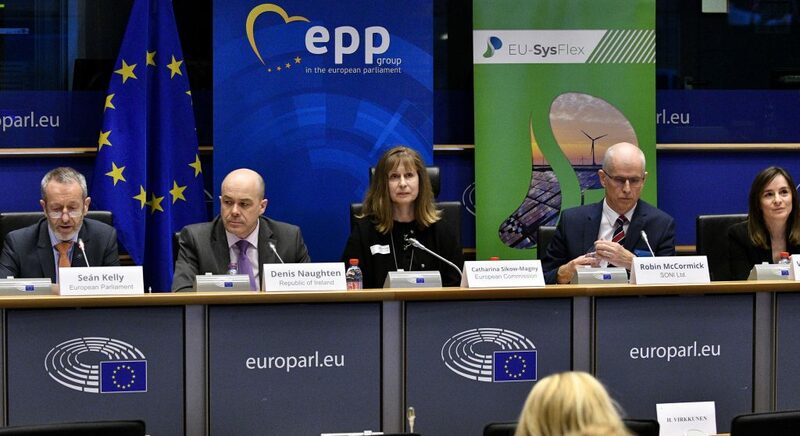 Ireland’s energy minister Denis Naughten, Seán Kelly MEP and senior representatives from DG Energy, EDF and EirGrid joined EU-Sysflex on Monday for the Brussels launch of the EU-funded consortium. 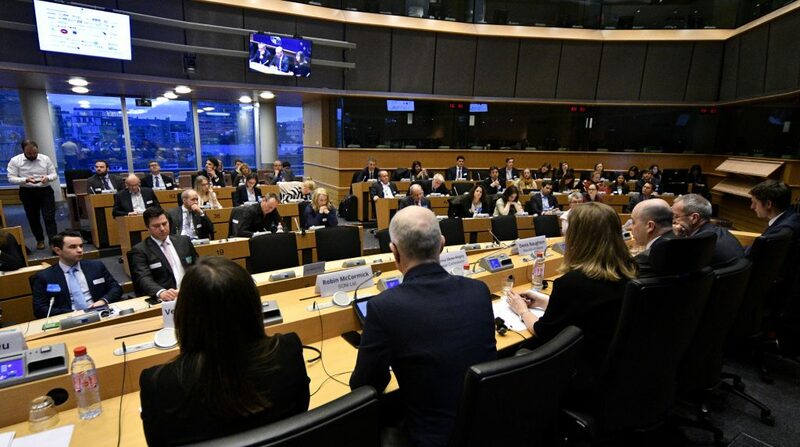 The event took place on Monday, March 5th 2018 in the European Parliament in Brussels and included a discussion on the key challenges facing EU-Sysflex over the coming years. Speaking at the event, Northern Ireland’s transmission system operator, SONI, explained how the tightly interconnected power systems on the two sides of the divided island had eased pressure on electricity wholesale prices. Robin McCormick, SONI’s general manager, said EU-SysFlex will be able to draw from that experience, involving 34 organisations from 15 countries, including TSOs and DSOs, technology companies and research institutes. “Seven demonstration projects are based on all system levels in a number of European countries,” McCormick explained. Vera Paiva da Silva also works on EU-SysFlex, as programme director at EDF R&D. “The energy transition means changing from the well-known system with a moderate complexity to a system with a high level of complexity and properties that are yet to be known. This is the challenge EUSysFlex is picking up,” said da Silva. It will require putting in place the right economic incentives, she pointed out. “We need rewarding the right level of flexibility at the right time,” she explained, saying flexibility can be found across borders and at all levels – including from electric vehicles and smart homes. “EUSysFlex is here so that we can say: 50% of electricity from renewables in a decade – yes, we can,” da Silva said.